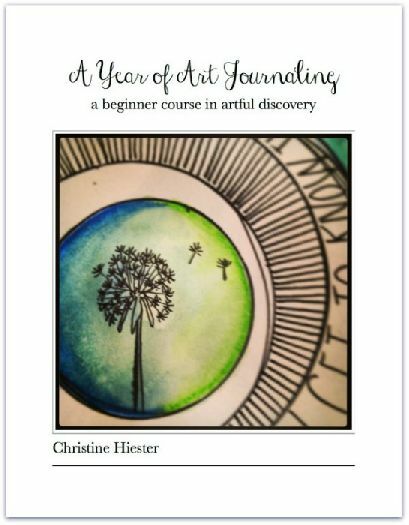 Interested in art journaling? This beautiful 116 page, photo-rich ebook, provides 24 lessons with techniques, prompts, links and photos to give you inspiration for up to a year of creating. This professional-quality resource is geared toward beginners, or those who need some more ideas for their artistic practice, and can easily be used as a year-long fine art curriculum for homeschoolers. Lessons include concepts, skills, and techniques such as the color wheel, collage basics, elements and principles of design, painting, sketching tips, creative journaling techniques, ink transfers, texture and many more.